The ultimate version of the beloved archery combat/party game, featuring Switch-exclusive 6-player battles, guest characters, and more! 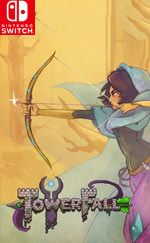 TowerFall is the ultimate version of the beloved archery combat/party game, featuring all of the content from Ascension and Dark World, and several Switch-exclusive additions! 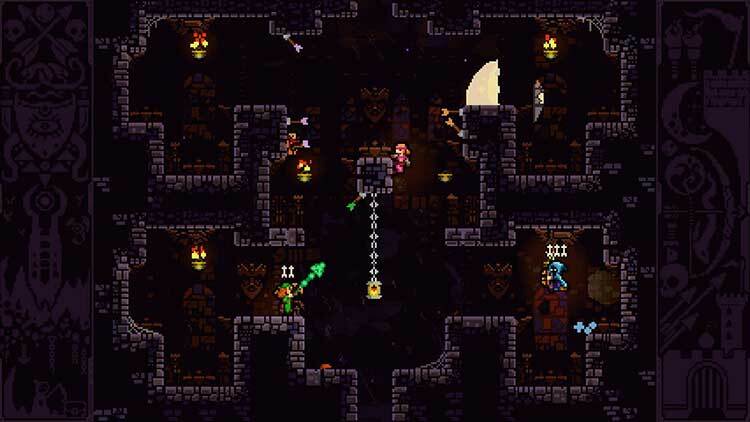 Inspired by classics from the golden age of couch multiplayer, TowerFall centers around hilarious, intense versus matches - best played against friends, sitting cross-legged on the floor within punching distance of each other. The core mechanics are simple and accessible, but hard to master, with a huge amount of gameplay variants, arrow types, power-ups, and levels. And when you need a break from the competition, team up in 1-4 player co-op modes, where you’ll fight off a wide variety of monsters, enemy archers, and bosses. The Switch version includes several new and exclusive features, including 6-player battles utilizing widescreen levels, new gameplay variants, and guest archers Madeline and her reflection Badeline from fan-favorite platformer Celeste! 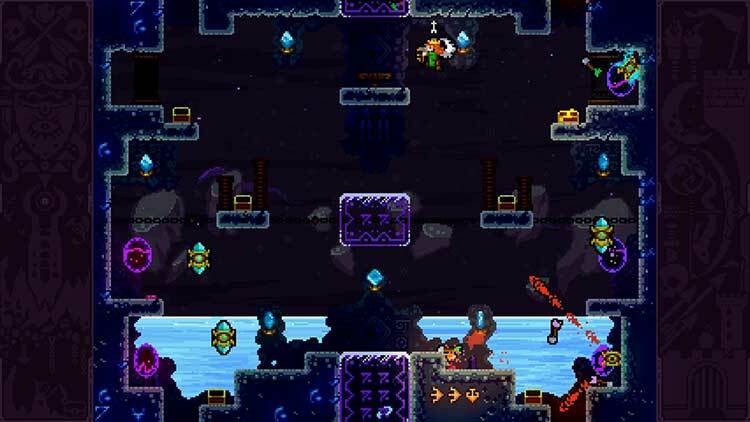 TowerFall is best as a competitive local multiplayer game and if you’re commonly in the situation of having friends around to shoot some arrows at, it’s a must-play. If you’re not, it’s a harder sell. No online play holds it back a bit and while the single-player elements are deeper than you might expect, it’s not necessarily enough to stand alone. 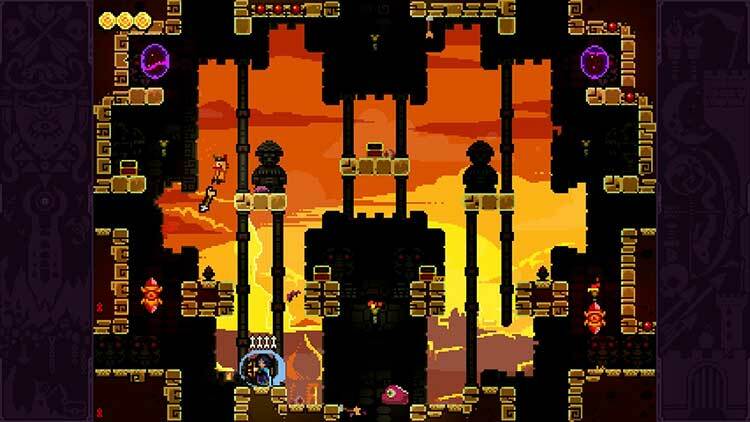 That being said, TowerFall is an outrageously incredible local multiplayer game, quite possibly one of my favorites of all time. 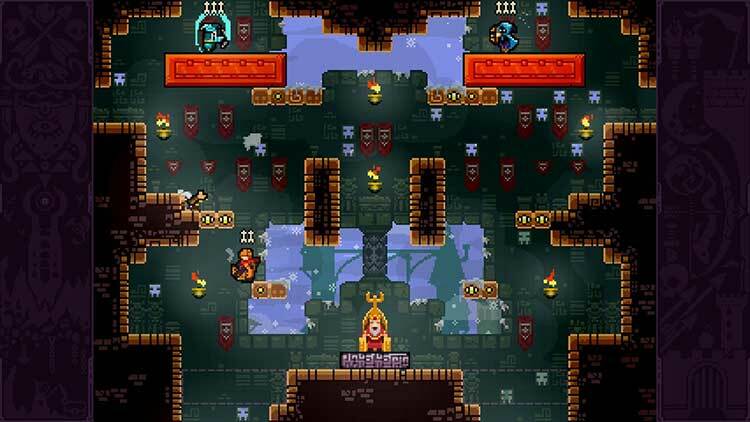 Towerfall sets the standard for excellence in local multiplayer, creating a fun and endlessly replayable experience that’s sure to be a blast every time you play. Although the single-player content is a bit thinner than we’d like and the omission of online may be disappointing to some, we’d argue that there are few games that better exemplify the unique multiplayer strengths of the Switch. 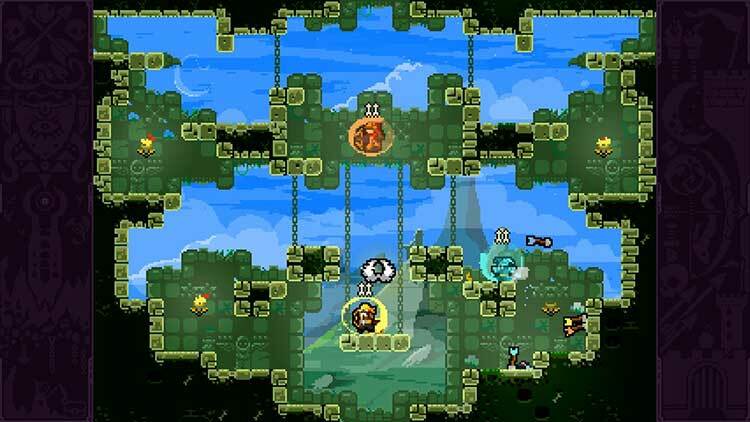 Towerfall Ascension es sencillo, directo y con las justas mecánicas para que se maneje intuitivamente y de forma trepidante. Es el remedio para los momentos cortos y, desde luego, se apunta como una de las experiencias multijugador más divertidas y sanotas de la híbrida de Nintendo. Un juego que merece más la pena que muchos más grandes.